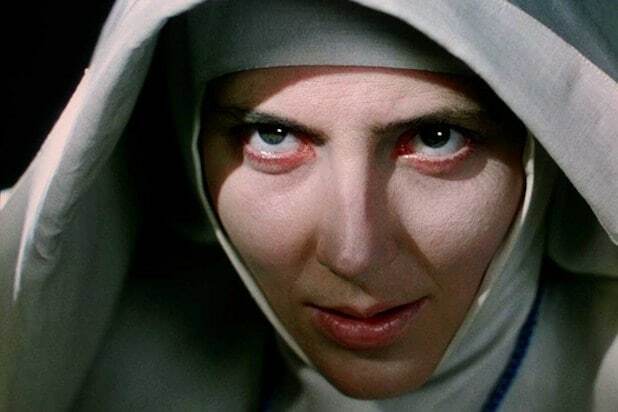 "Black Narcissus" (1947) Powell & Pressburger's 1947 drama is about as lush and gorgeous of an early color film as you're likely to see. And those eye-popping colors help to underscore the insanity of the story of a nun (Deborah Kerr) tasked with opening a convent in the Himalayas, all while battling the impulses and panics of the other nuns in the convent. The true crazy one is Sister Ruth (Kathleen Byron), who goes jealous with rage over her attraction to a man helping the convent, leading to her spectacularly wild-eyed demise. 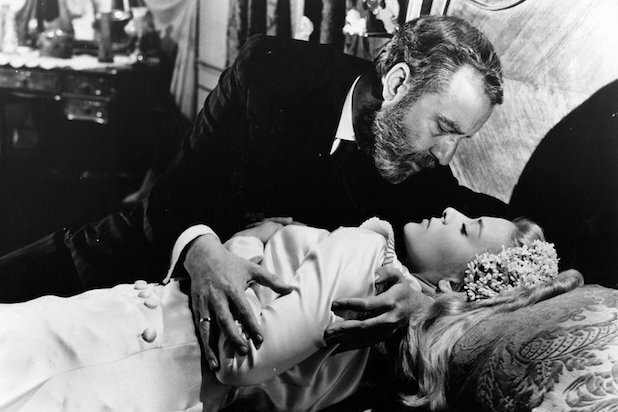 "Viridiana" (1961) The story of "Viridiana" is simply about a young nun about to take her final vows who visits her widowed uncle, but Luis Bunuel turns this innocent act and character into the blackest and surrealist of comedies, including staging a scandalous re-enactment of The Last Supper. "The Sound of Music" (1965) Oh, how do you solve a problem like Maria? 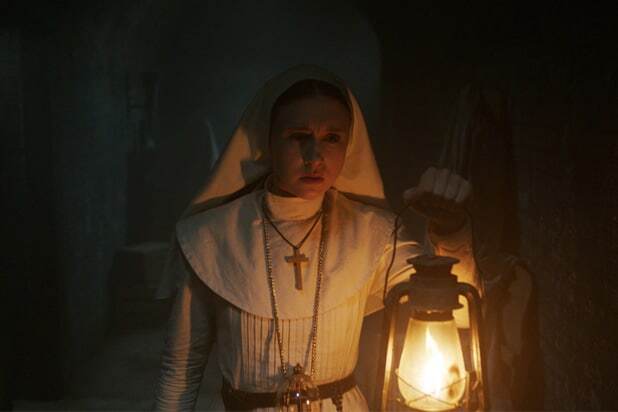 It isn't easy being a nun when all you want to do is sing, spin around on top of a hill and fall in love, not to mention when there are Nazis afoot. "The Singing Nun" (1966) There was a real singing nun, Sister Smile, known for her song "Dominique" and who became a surprise recording smash, but there's also this delightfully silly, playful movie in which Debbie Reynolds sings all of the Singing Nun's hits. "Sister Act" (1992) Whoopi Goldberg goes into the witness protection program and winds up a jump-roping, gospel singing, foul-mouthed nun with Maggie Smith looking down her nose at her in "Sister Act." The film made an ungodly sum as the sixth highest grossing movie of the year and spawned a sequel. "Airplane!" (1980) Among the countless zany things to happen in "Airplane!" is a nun with a guitar. She sings some Aretha Franklin in this clip, but the best gag is when the camera finds her reading "Boy's Life" magazine before cutting to a young boy reading "Nun's Life." "Agnes of God" (1985) In this film based on a play of the same name, Meg Tilly and Anne Bancroft play two nuns in a lonely convent where a newborn baby is found dead, sparking an investigation from a psychiatrist (Jane Fonda) as to the identity of the father and the murderer, making for a grizzly whodunnit. "The Magdalene Sisters" (2002) Peter Mullen's "The Magdalene Sisters" documents the true story of institutional cruelty and abuse toward women at the hands of a convent of nuns called The Magdalene Laundries. The film follows three women sent to the asylum to atone for their sins. Their crimes? Everything from flirting with boys to getting pregnant out of wedlock to even being raped. "Doubt" (2008) Meryl Streep gives one of her fiercest performances as Sister Aloysis Beauvier in the film adaptation of "Doubt," playing a nun that the whole school she watches over is "thoroughly terrified" around. Her sharp tongued dialogue comes with Streep's imposing sense of certainty as she tries to prove sexual misconduct between their parish's priest and a young boy. "Ida" (2013) A Foreign Language Oscar winner, the Polish film "Ida" is about an orphaned nun who learns in a bombshell of a family reunion that her name is not Anna, how her parents died, and that she's a Jew. Gorgeously shot in black and white, this shocking coming-of-age story about a woman who has never been outside her convent grapples with harsh realities in post-war Poland designed to test this nun's faith. "The Little Hours" (2017) Aubrey Plaza, Brie Larson and Kate Micucci play three surly, horny nut jobs of nuns in this raunchy comedy, and that's BEFORE Dave Franco shows up and gets everyone hot and bothered.